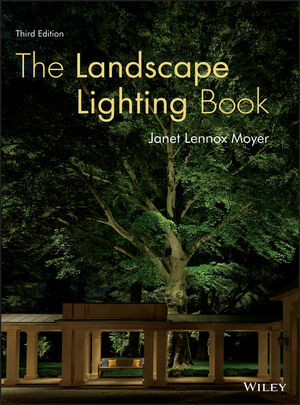 JANET LENNOX MOYER, IALD, COLD, is founder of The Landscape Lighting Resource (www.tllr.org) in Troy, New York. Started to promote quality landscape lighting design and installation, LLR offers educational events to help people interested in lighting become more proficient and expand their practice. She gives out the Janet Lennox Moyer Award at the national conference of the Association of Outdoor Lighting Professionals each year. Ms. Moyer practices design throughout the world and frequently writes and speaks on the subject.